A truly interesting weekend is finally behind us. One in which we got three points, got into the top half of the League for the first time this season and chilled as other teams huffed and puffed in a bid to win their own fixtures. In fact I could even afford a very funny dream last night where Enyimba tore apart a team in the CAF Champions League. 3-0 I think. 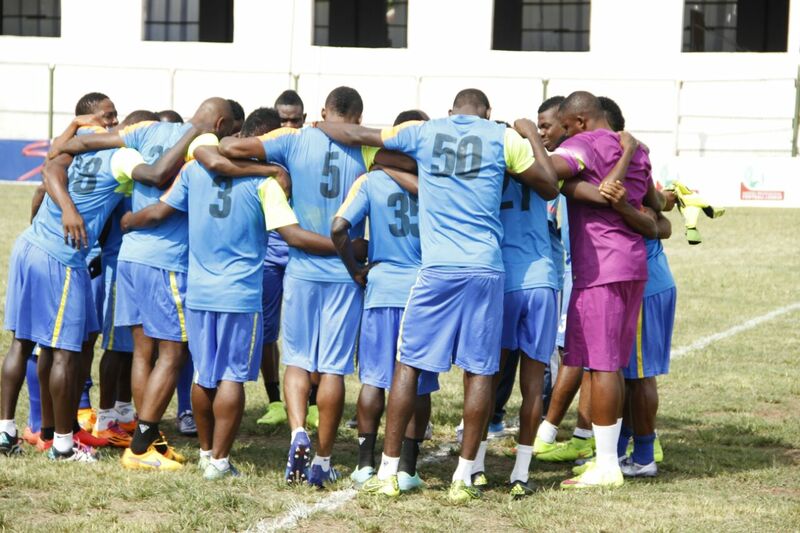 Well, all that is behind us and this morning we look yet again at the new fellas who have come in to strengthen the Enyimba cause. We had a first part last week but we do have quite a couple of them yet to be handled. When a close friend whispered to me that Afelokhai (and Gambo) were going to join Enyimba, I asked him who prescribed the specific dose of the weed he had as that was practically impossible. But as the days opened up, it was true and we eventually signed him. The player who we call ‘Safe hands Theo’ has been one of the brightest lights of this season. At the start of the year when everyone was still trying to learn each others names, Theo was bailing us out in games. In all my years of being a football fan, I’ve never seen any goalkeeper make as many saves as I saw him make in Tunisia. Then add the ones he made from the penalty spot, you know this man’s ability and confidence is steaming from his many years as a captain at Kano Pillars is just priceless. Safe hands Theo deserves much more than just the little space this blog can offer because he has been one of the most important members of this Enyimba team, so far. Long may it continue. I watched him several times at FC Ifeanyi Ubah last year and I thought he was lively. He did look good early in the season before his injury as Mr Aigbogun was trying out the different permutations his attack could look. He is also one who has impressed very well especially in the Champions League most memorably in that 5-1 trashed of Vital’O where he got a brace. That injury has impeded his improvement in this Enyimba side and one wonders what would happen when he returns to the team and gets knocking hard on the door for contention. I saw this lad fire four goals past Sunshine Stars in that season that Sharks was still alive and they did look like a football club. Pyagbara’s move could have happened twice already before it eventually did. He’s stepped in an had a couple of flashes but truth is he’s yet to replicate that form that saw him being termed one of the most fearsome strikers in the Championship. Perhaps at Sharks being a lone bright star means he was a regular starter but not at Enyimba where consistent performance is the only acceptable norm. My word count is up. Let’s finish this up maybe tomorrow. The team, we hear is in Illorin for their midweek clash with Giwa FC. Let’s hope Giwa shows up otherwise they would be knocked out of the Championship. Your lot for today… Some folks have been asking for updates on work at the stadium. I hope to bring you that sometime within the week. And again it’s a nice piece. Am soon gonna get tired of writing dat. Looking for a new word sha.